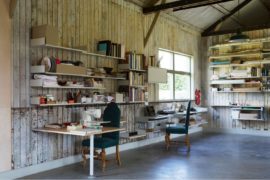 Sunny days often provide the ideal backdrop for relaxing, working and playing with designs in all shapes and sizes. Sunny days and balmy nights should be a celebration of good design. Choose designs to suit your character and mood, remembering they will live with you for years to come. Dot™ stool. Image © Republic of Fritz Hansen 2016. 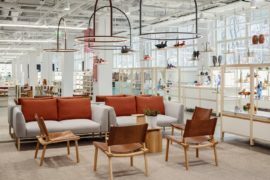 Marking one hundred years since the birth of Finnish designer Tapio Wirkkala (1915-1985), Finnish design brand Iittala celebrated the occasion with a number of his finest creations. 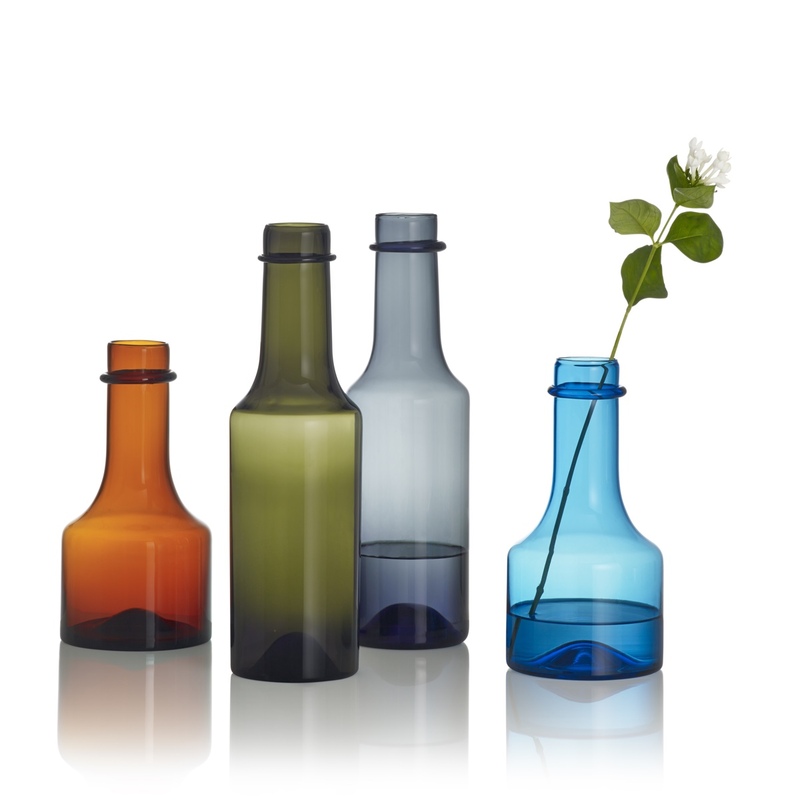 These simple and elegant handblown glass bottles by Tapio Wirkkala were a part of the mix. 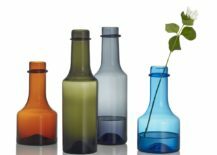 Wirkkala glass bottles. Designed by Tapio Wirkkala and originally produced by Iittala between 1959 and 1968. 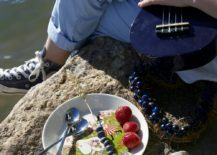 Image © Fiskars Finland. 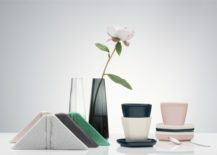 The Iittala X Issey Miyake collection pairs the intricate and curious worlds of Finnish and Japanese design. 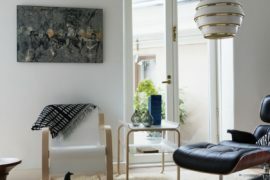 Bringing a sense of harmony to the home, this rather dreamy collection is a quiet reflection of Asian and Nordic craftsmanship. 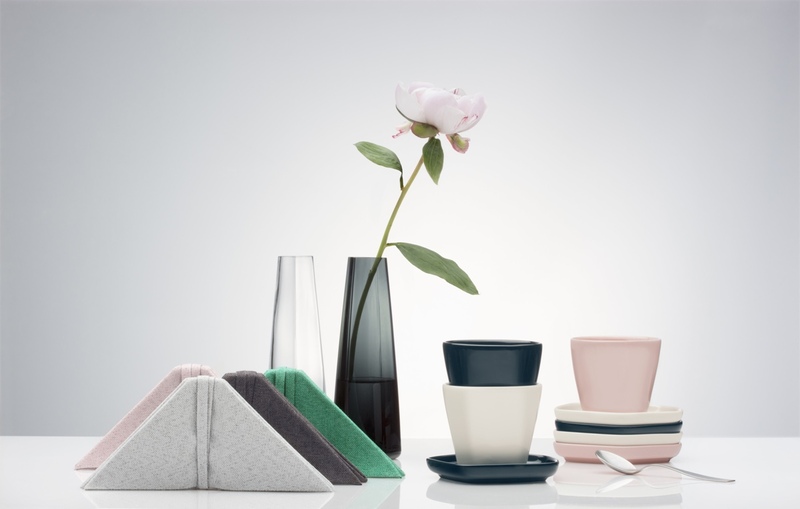 Iittala X Issey Miyake collection. Image © Fiskars Finland. 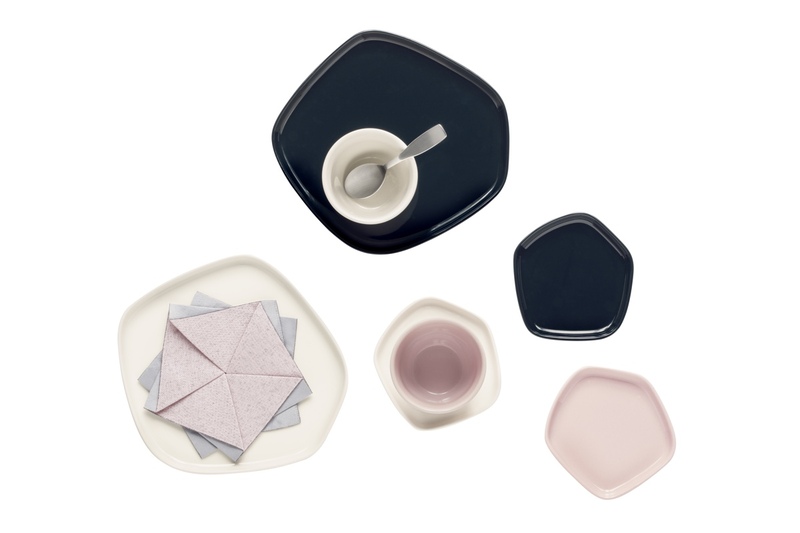 Iittala X Issey Miyake ceramics. Image © Fiskars Finland. “Midsummer magic with Snorkmaiden” is a 2016 summer ceramics collection from Finnish tableware brand Arabia. Original Moomin drawings by creator Tove Jansson were carefully transferred to mugs, bowls and plates by illustrator Tove Slotte-Elevand. 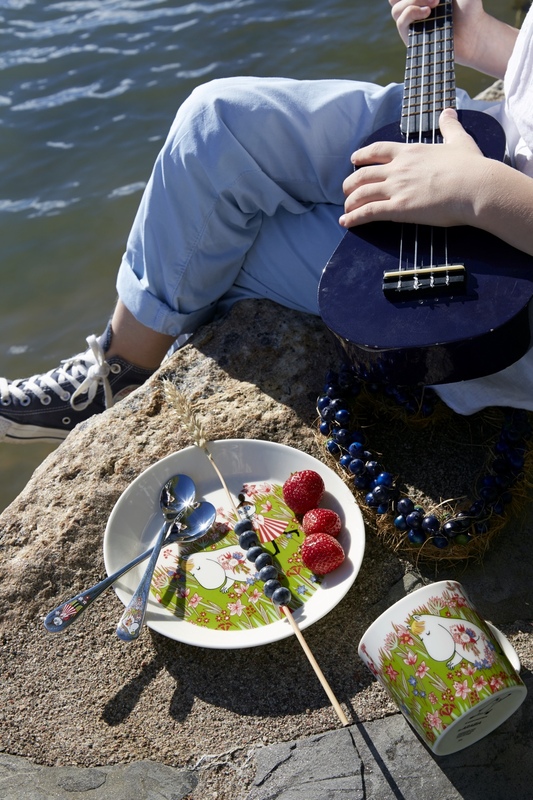 Midsummer magic with Snorkmaiden ceramics collection. Image © Fiskars Finland. 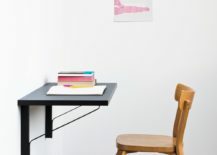 The Kaari collection by Ronan & Erwan Bouroullec for Finnish furniture company Artek is a light and airy ensemble comprising: tables, a desk, a wall console, a small round shelf and an assortment of wall-mounted shelves. 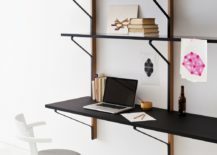 Sleek, functional and minimal, the collection’s pieces offer the perfect places on which to work and play. 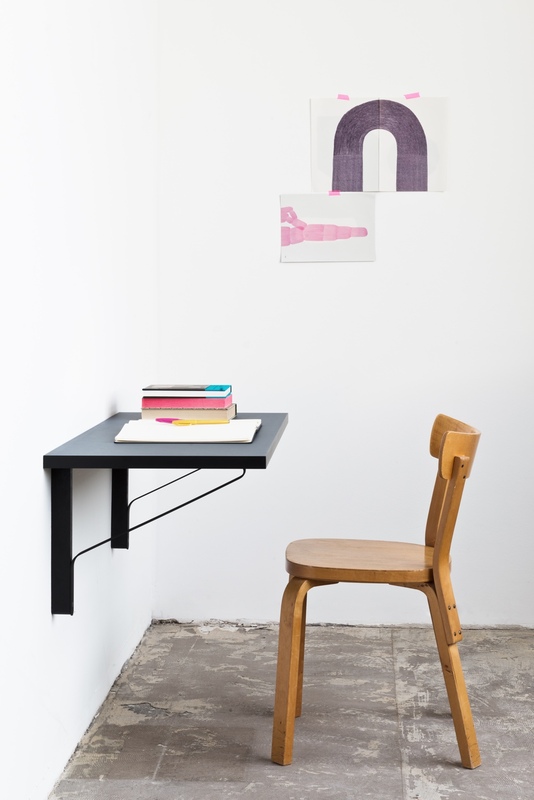 Kaari console by Ronan & Erwan Bouroullec for Artek. 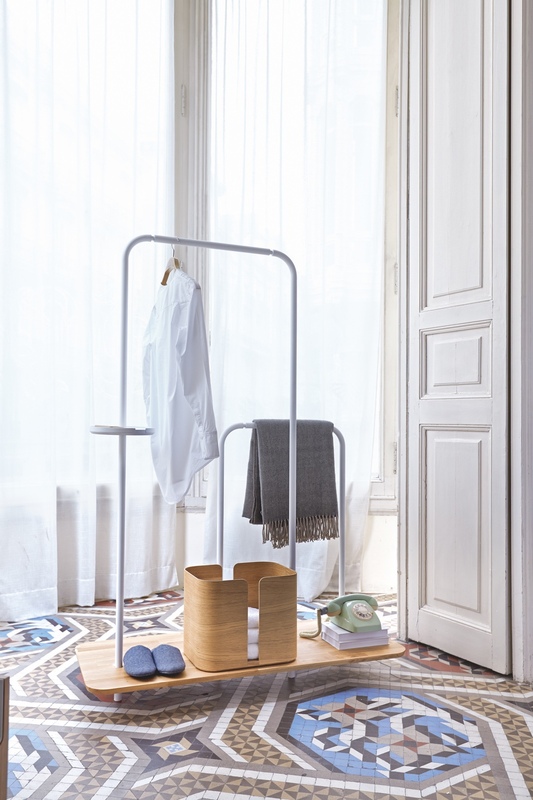 Image courtesy of Artek. 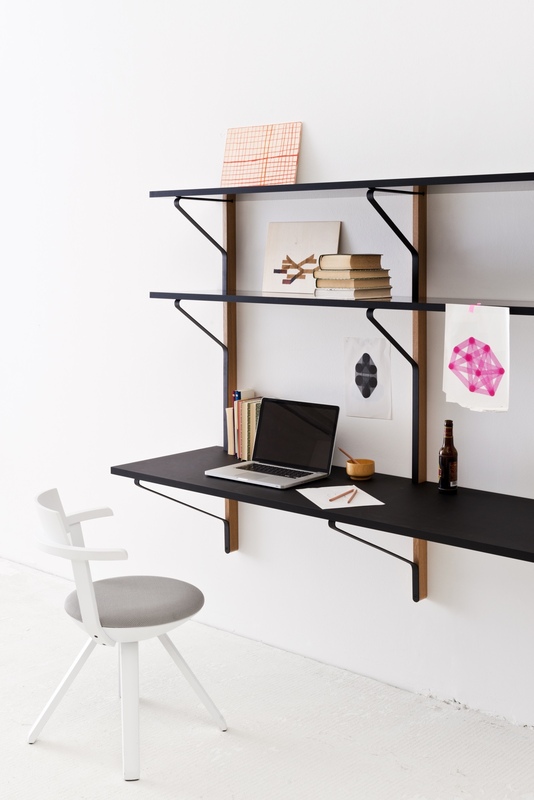 Kaari shelf with desk by Ronan & Erwan Bouroullec for Artek. Image courtesy of Artek. 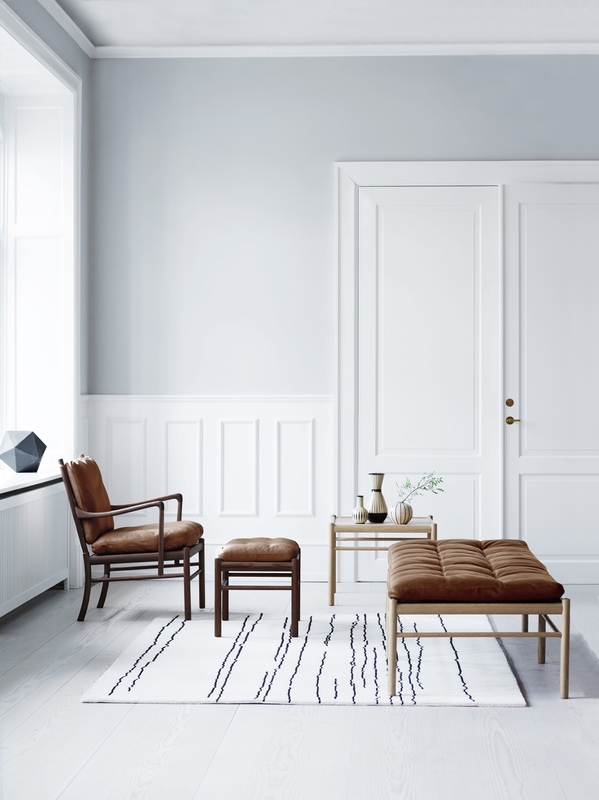 The Woodlines Rug Collection for Carl Hansen & Søn is a reflection of the iconic Danish brand’s most fundamental material: wood. 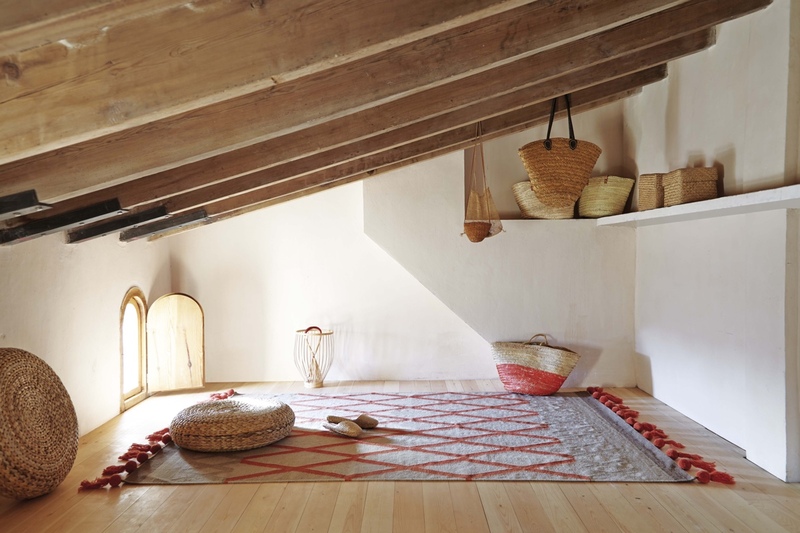 Designed by Danish multidisciplinary artist Naja Utzon Popov, each rug denotes the unique characteristics of wood and its familiar pattern. 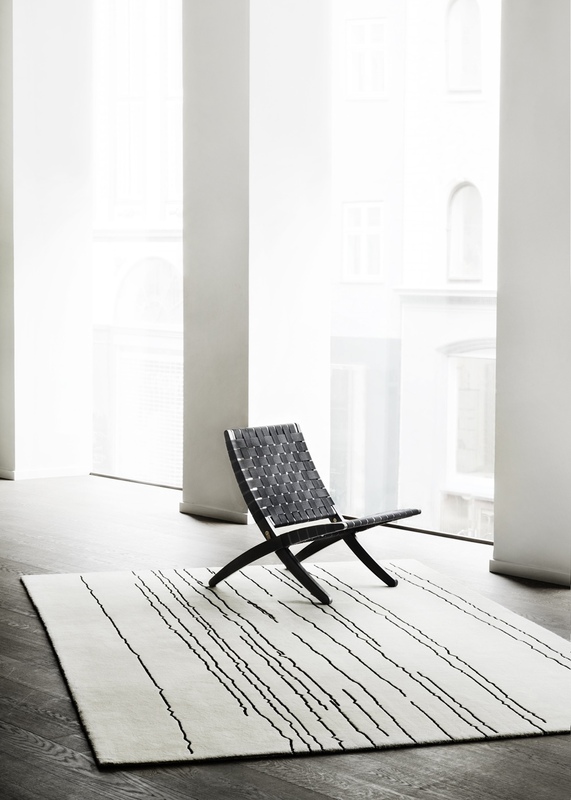 Woodlines rug designed by artist Naja Utzon Popov for Carl Hansen & Søn. 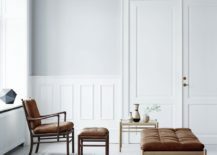 Image courtesy of Carl Hansen & Søn. Many run-of-the-mill wine bags are either outmoded or clearly unsightly. 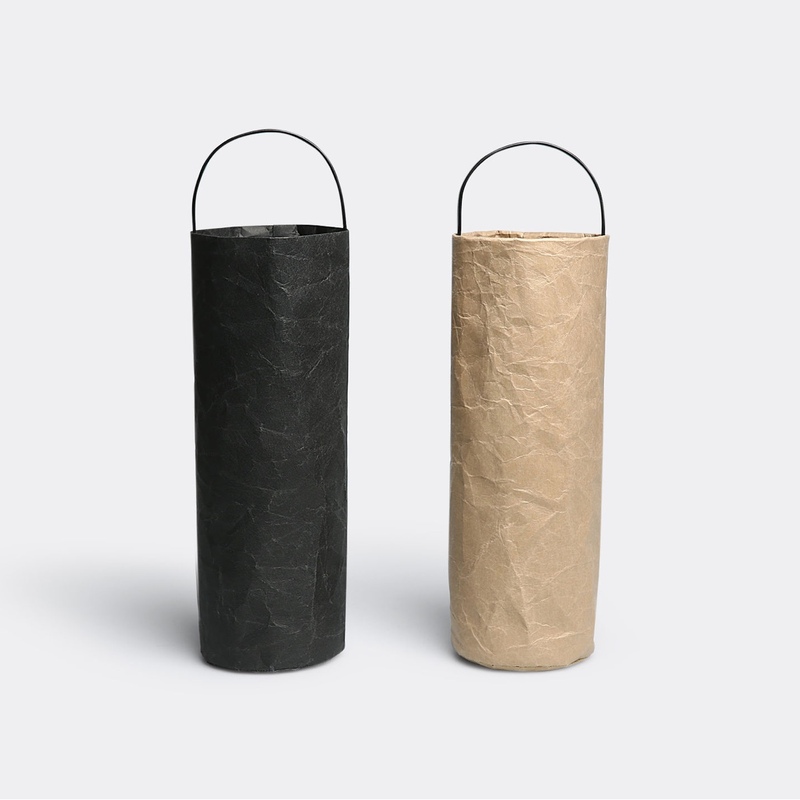 In a collaboration between Japanese designer Naota Fukasawa with ONAO, a Japanese washi papermaking company, the simple wine bag is elevated to a winsome contemporary state and presented with a pleasing aesthetic. The wine bag is made from Soft Natron paper, a mix of wood pulp and polyolefin that is both tear- and water-resistant. Smart and chic, the Fukasawa/ONAO wine bag will present your bottle of vino to perfection. Wine bag by Naota Fukasawa and ONAO. Image © WallpaperSTORE*. 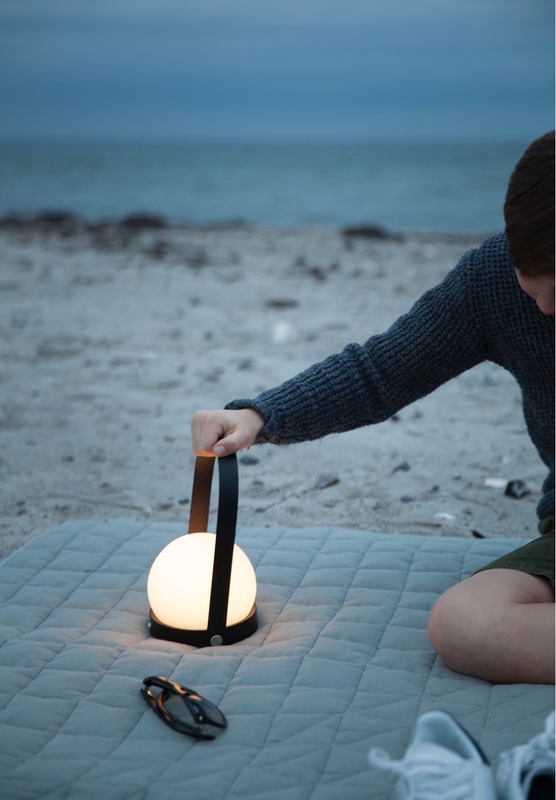 The LED Carrie lamp was designed by Frederik Alexander Werner for Danish brand Menu. 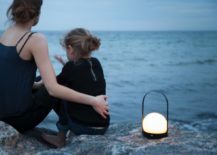 Charged via a handy USB cable, this portable light is the ideal companion for a warm summer evening. LED Carrie lamp by Frederik Alexander Werner for Menu. 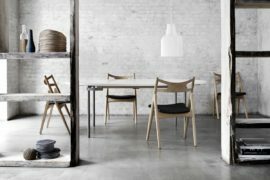 Images via Norm Architects. 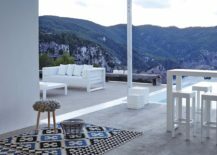 The home textile collections from Spanish brand GAN are a study in contemporary design, craft and ingenuity. 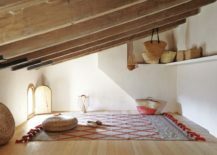 Valuable handmade rugs are hand-knitted, knotted, loomed and tufted, and incorporate skilled craft techniques such as needle felt and embroidery. 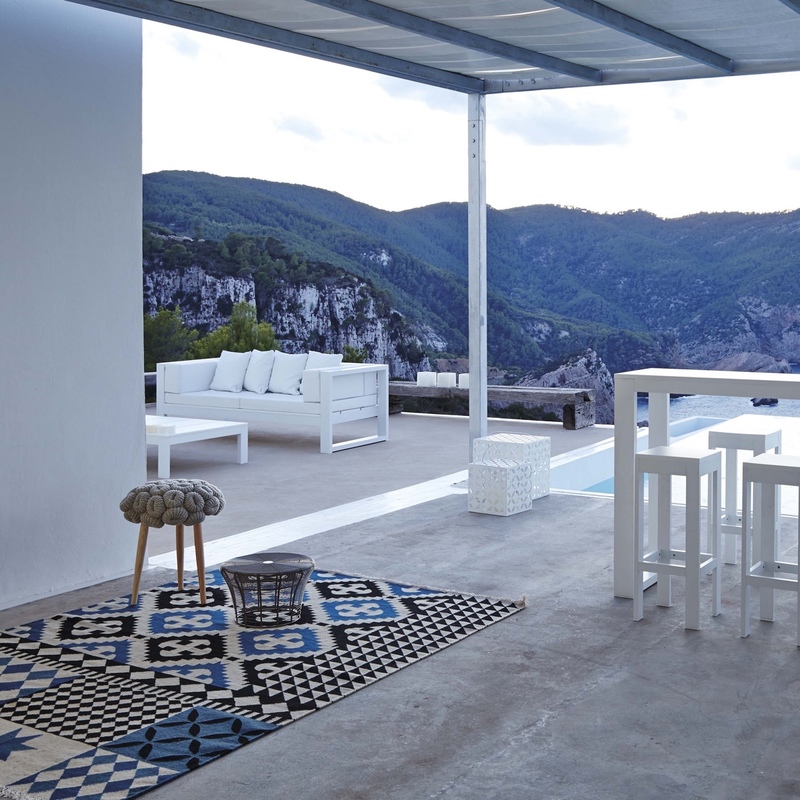 Indoors and outdoors, GAN’s well-made rugs will provide easy comfort in the shade. Sioux kilim for GAN by Odosdesign. 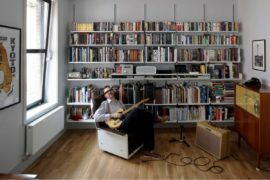 Image courtesy of Gandía Blasco SA. Palermo kilim for GAN by Sandra Figuerola. Image courtesy of Gandía Blasco SA. 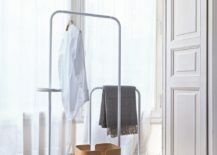 Platel was designed by Note Design Studio, the multidisciplinary Swedish studio, for Spanish manufacturer Punt. 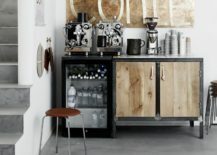 Aesthetic and functional, Platel offers an excellent means of maximising space and organising everyday stuff. It’s a great way to tidy messy floors and enjoy a clutter-free summer. 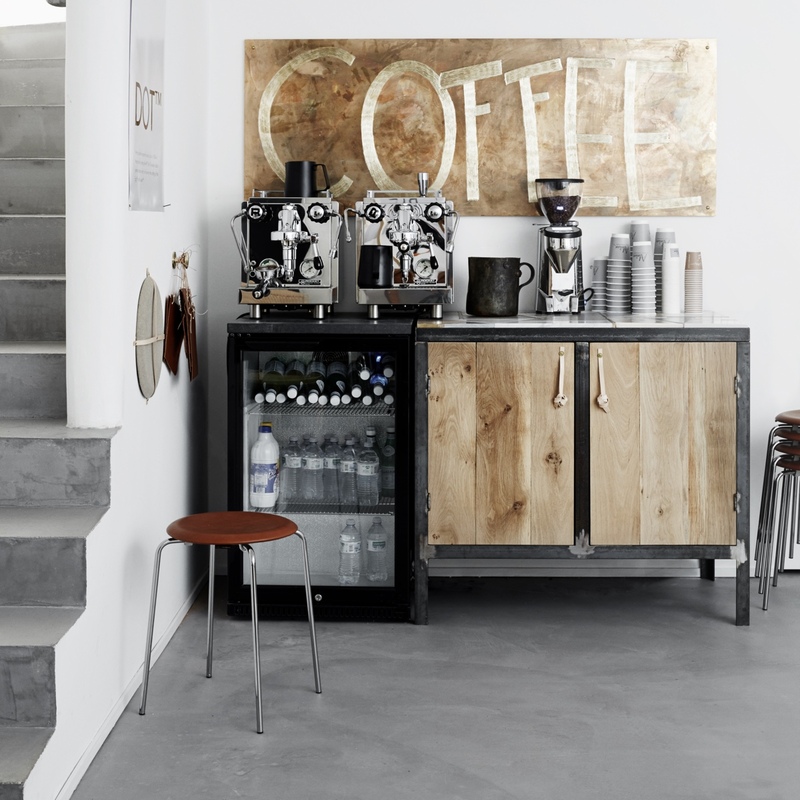 Platel by Note Design Studio for Punt. Image courtesy of Punt. 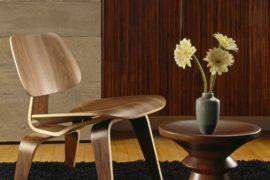 The Dot™ by Arne Jacobsen for Fritz Hansen is a little stool brimming with character. 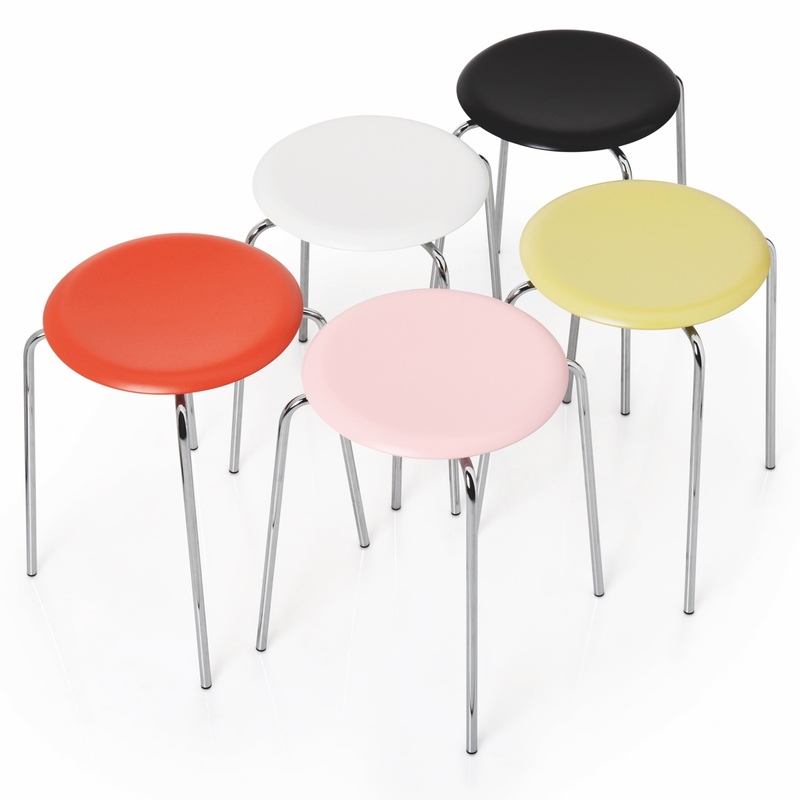 Designed in 1954, Jacobsen created the four-legged stackable Dot™ stool while working on his Ant™ chair. 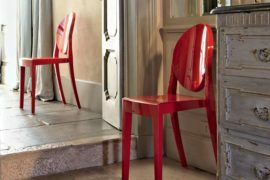 This stool is an able helper, perfect for unexpected guests and anytime perching. Dot™ by Arne Jacobsen. Image © Republic of Fritz Hansen 2016.